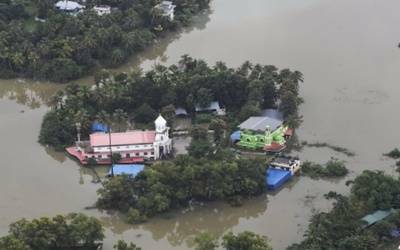 Abu Dhabi, Sep 12 (IANS) Fifty members of the Kerala Social Centre (KSC), an organisation of expatriates in the UAE, have pledged to donate their one month’s salary to the Kerala Chief Minister’s Disaster Relief Fund (CMDRF) to help people in the flood-ravaged state. The KSC’s managing committee meeting decided that all its 16 members will contribute their one month’s salary, he said. The KSC and its affiliate organisation, Shakthi Theatres, have already contributed Rs 2 million to the Chief Minister’s Fund, said A.K. Beeran Kutty, President of the KSC.